Every year all teachers and professors of Costa Rica celebrate their professional holiday, Teachers' Day, on November 22. This holiday was established in honor of Mauro Fernández Acuña, a prominent Costa Rican politician and lawyer, who dedicated much of his work to reformation of the educational system. 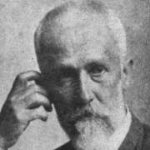 Mauro Fernández Acuña was born on November 22, 1843. He lost his father at relatively young age and his sisters had to take care of his education. In 1869 he graduated the University of Saint Thomas and started working at the Supreme Court. President of Costa Rica Bernardo Soto Alfaro appointed Acuña the Minister of Education and he started implementation of a number of educational reforms. They led to expansion of the secondary education in Costa Rica and foundation of various institutions, including Women's College. In 1915 the government of Costa Rica issued a decree on establishment of Teachers' Day and this then this holiday is annually celebrated. Students always congratulate their teachers on this day and give them flowers.